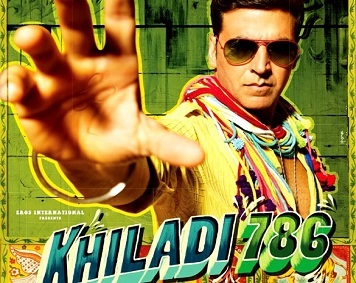 Khiladi 786 Lucky for Akshay Kumar? Khiladi Kumar, Akshay has done around 80 films till now. He started his career as an action hero in 90’s. Maximum films of “Khiladi series” have been done by Akshay. Akshay kumar acted in the seven films of the ‘Khiladi series’ that are Khiladi (1992), Main Khiladi tu Anadi (1994), Sabse bada Khiladi (1995), Khiladiyon ka khiladi (1996), Mr and Mrs Khiladi (1997), International khiladi (1999) and khiladi 420 (2000). Moreover, he has also been a part of the reality show named Khatron ke khiladi. Now one more movie of the ‘Khiladi series’ is ready for release. So, it’s time to know, what impact will the movie have on audience. Akshay kumar was born on 9 September 1967 in Scorpio ascendant and the ascendant for Navamsa chart is Virgo. The Lord of first house Mars has created Ruchak named Mahapurusha yoga in the ascendant itself. Therefore, he was established as an action hero in the starting. His first film ‘Saugandh’ was released on 25th January 1991. At that he was being influenced by the period of Jupiter in Saturn. Jupiter in his birth chart is the significator of art. And, also being the lord of fifth house, it is situated in a high sign and in the house of fortune. With this position of Jupiter, the fifth house is being completely aspected by it. And, Saturn being situated in the fifth house is aspected by the lord of fifth house. Therefore, his presence in the field of art and creativity is natural. From October 1992 to October 2009, he had the influence of Mercury over him. Mercury is the lord of fortune house for him, which means that it is situated beneficially in his house of fortune. Therefore this period was almost profitable for him. Mercury represents jovial behavior, due to which his comedy was also appreciated by the audience with action. The influence of Ketu started over him from October 2009 which will stay till October 2016. However, his Ketu is posited in the 12th house, but with this it is also situated in the constellation of Mars that is his lord of first house. Therefore, most of the time Ketu will favor him but due to its position in 12th house, some controversial issues might emerge. Presently, he is being influenced by the antar dasha of Rahu in the major period of Ketu which is not very favorable for him. Therefore, it is not appropriate to expect a great success of khiladi 786. However, the fortune of other people is also connected to the movie and moreover ‘khiladi’ is the lucky word for akshay therefore, two and half stars can be given to the movie out of five.